GFY Press is a fiercely independent publishing house that operates entirely outside the realm of the established literary industry. 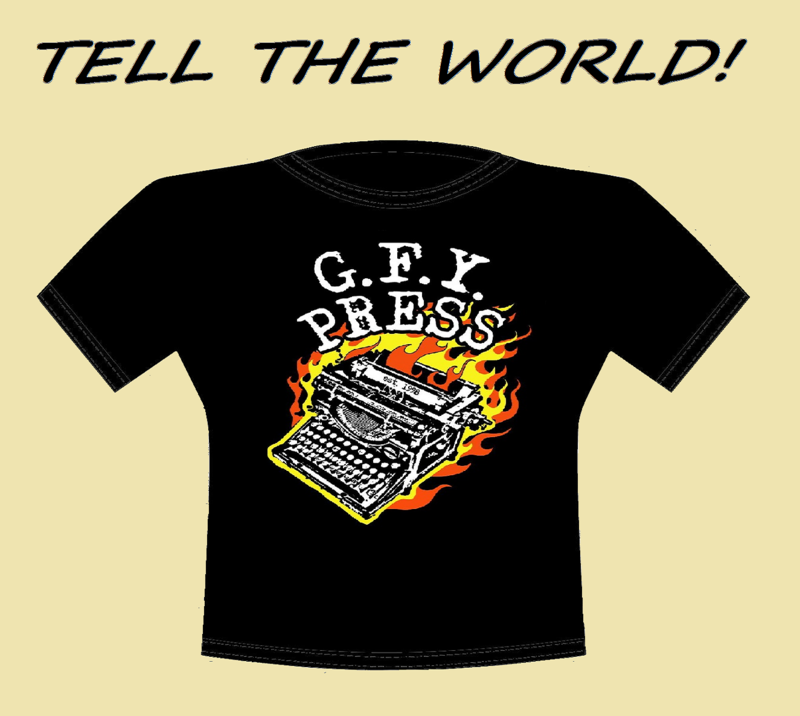 Formed in 1998, GFY Press specializes in punk history and street fiction of a corrosive and fearless nature. Our various projects sink or swim on their own merit, and we receive no government grants or third party funding of any sort. We are beholden to no one.